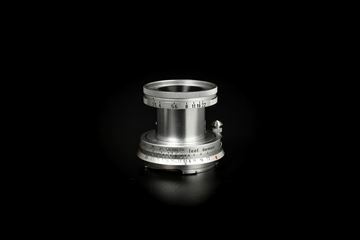 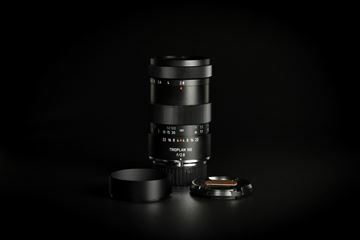 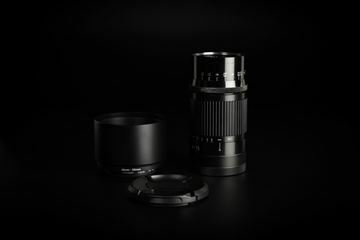 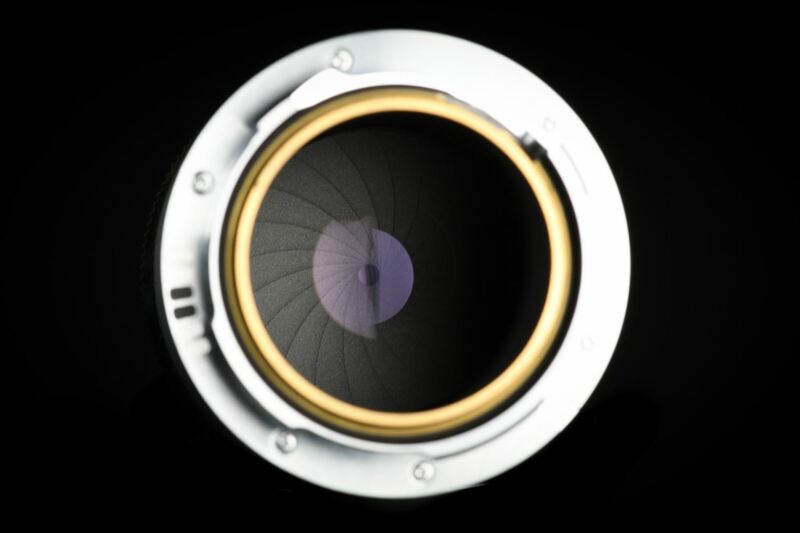 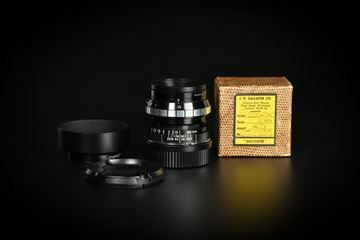 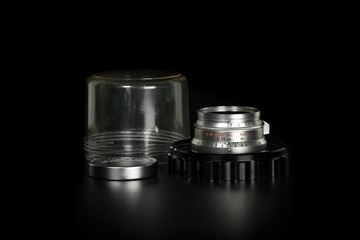 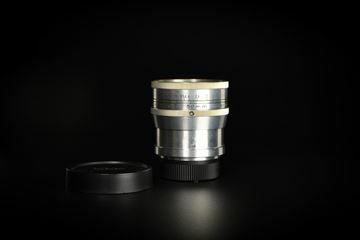 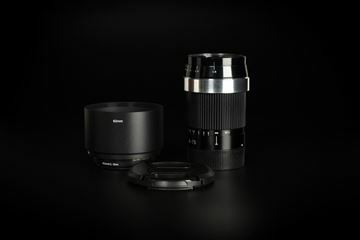 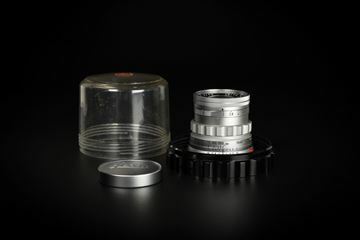 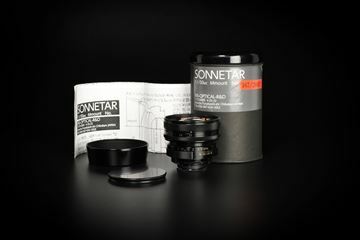 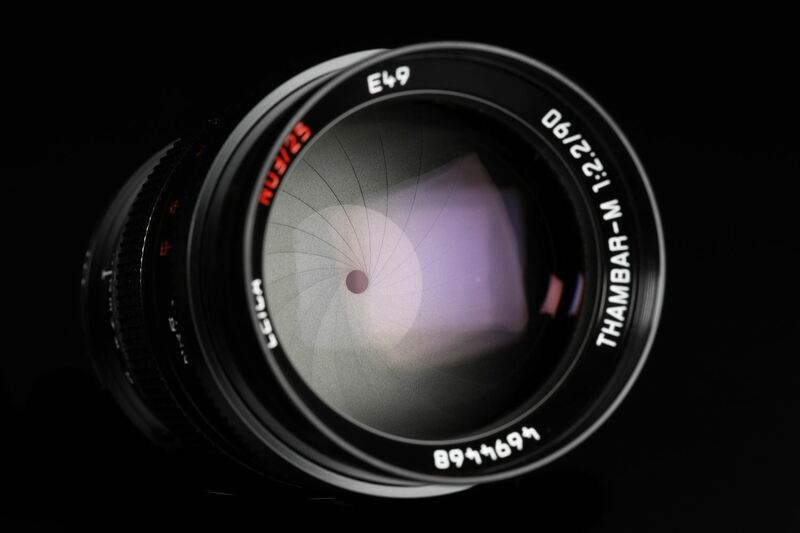 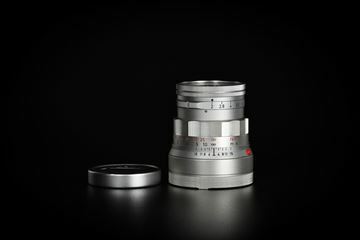 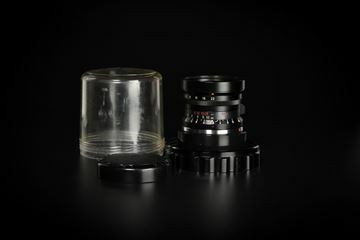 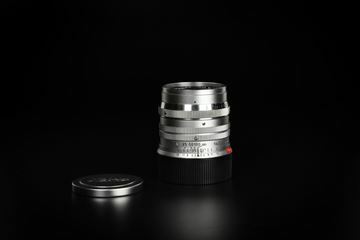 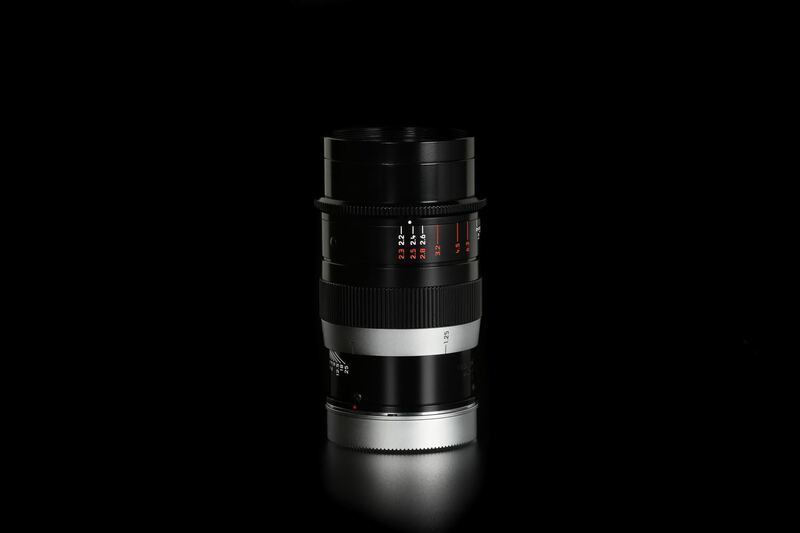 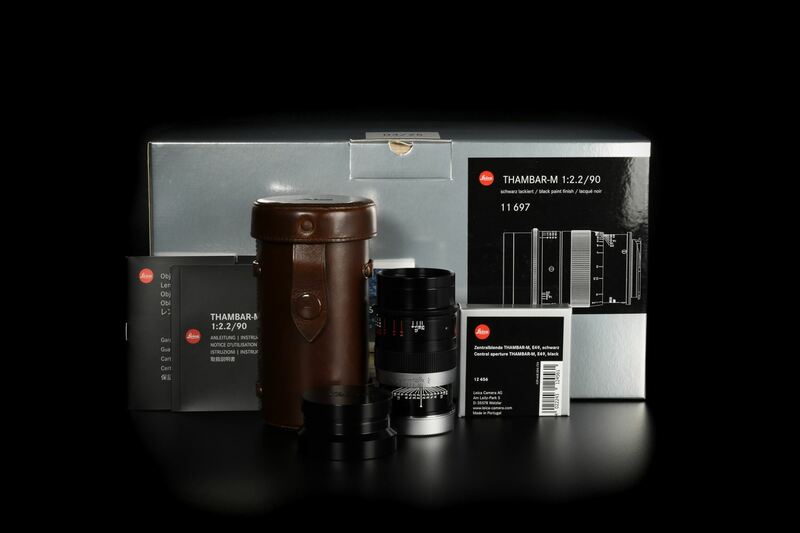 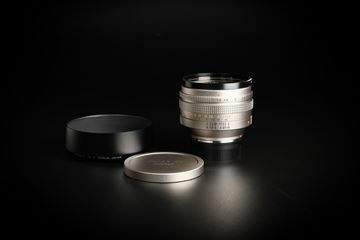 There is 25pcs of prototype in total for re-issue of Thambar-M 90mm f/2.2. 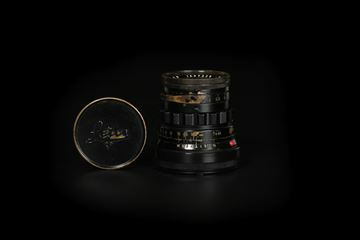 "03/25" is engraved on the lens front rim. 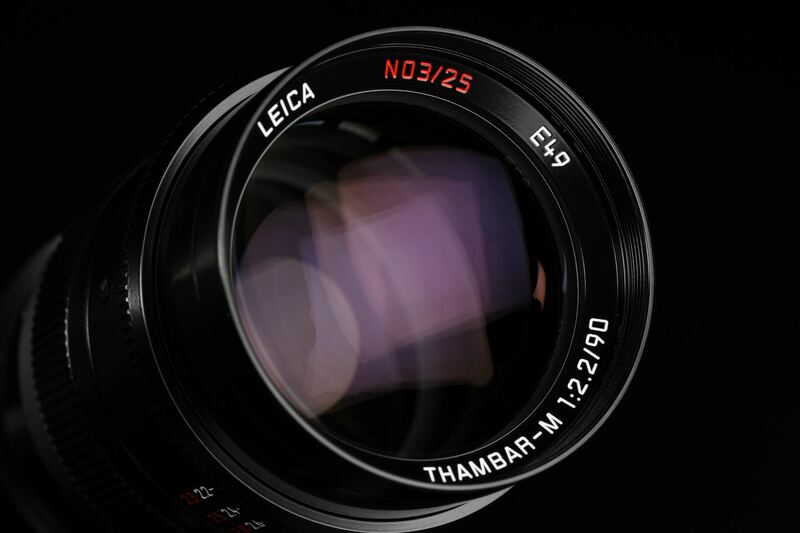 When the Thambar was originally released in 1935, Leica lenses were already renowned for their exceptionally sharp rendition. 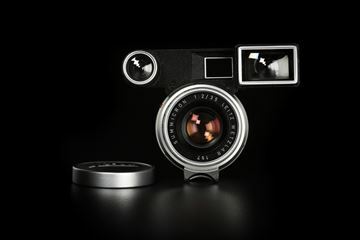 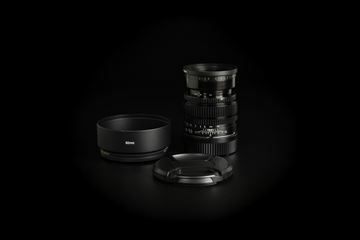 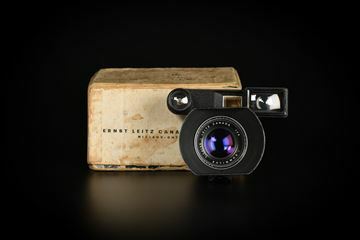 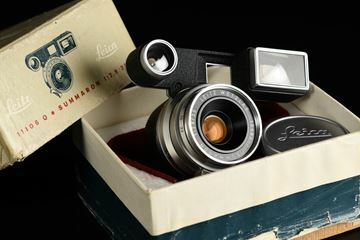 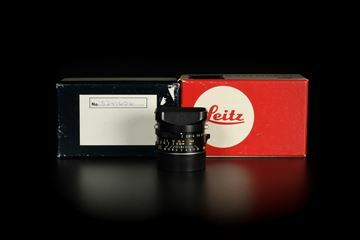 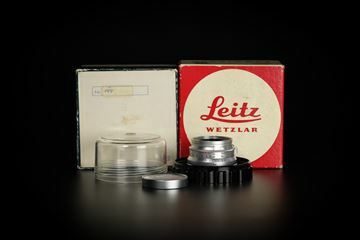 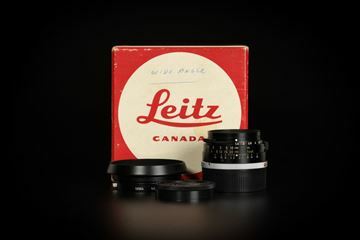 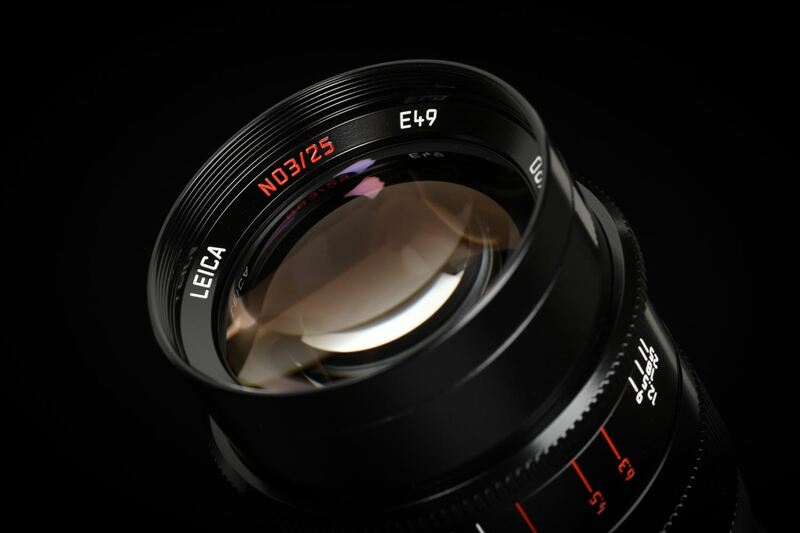 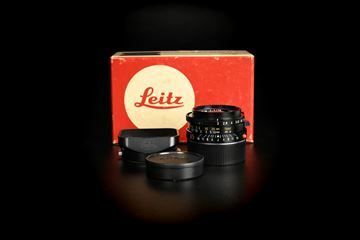 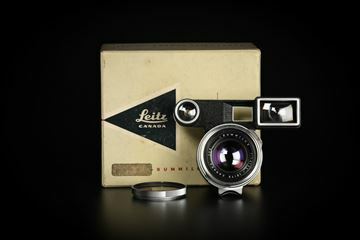 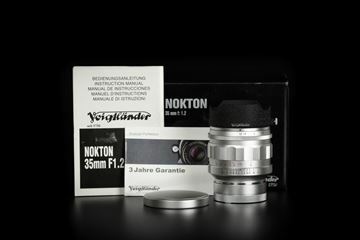 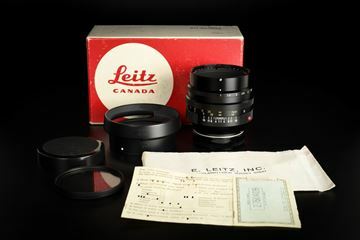 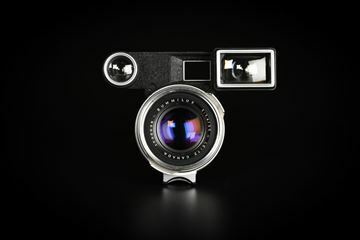 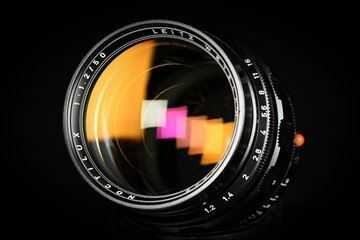 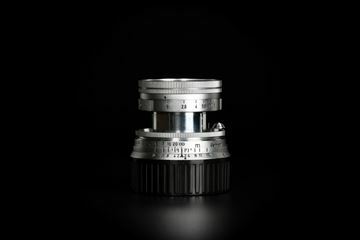 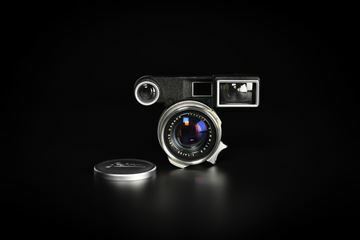 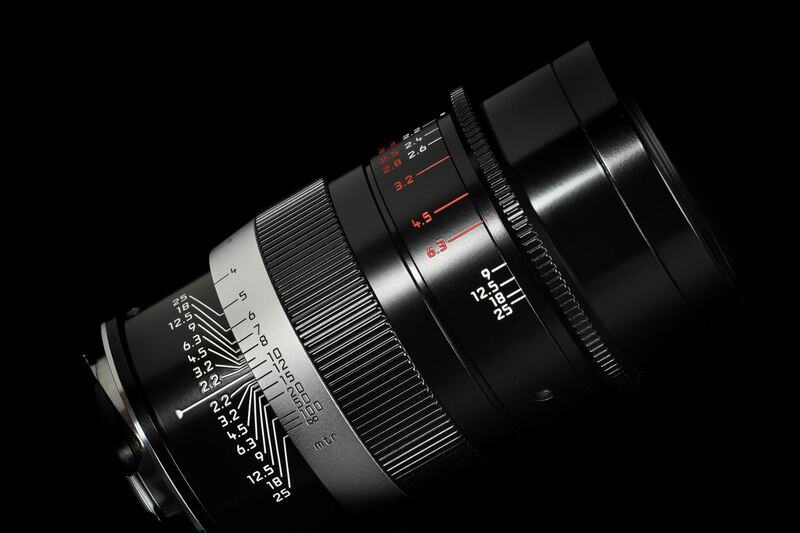 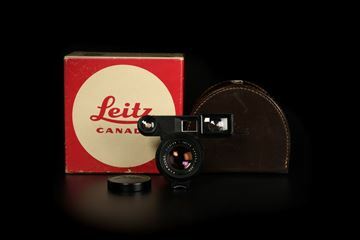 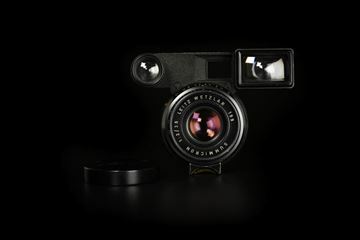 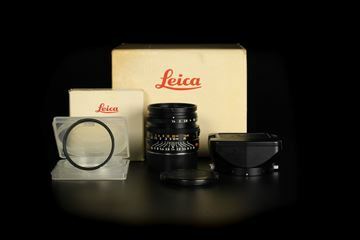 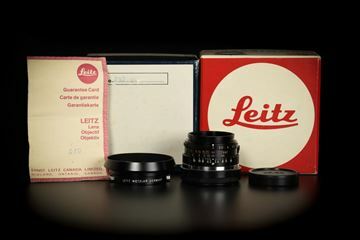 So it was all the more surprising when Leitz introduced a soft focus lens which – despite being named after the Greek term ‘thambo’, meaning ‘blurred’ – gave rise to images whose romantic aesthetics are not only unmatched by any other lens to this day, but also impossible to replicate in digital post-processing. 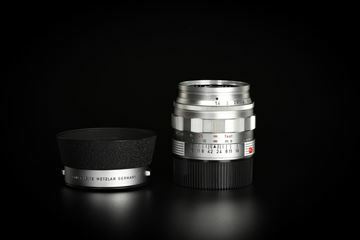 This makes the new Thambar-M an exciting counterpoint to Leica’s other 90mm focal length lenses, and allows the modern-day photographer to experience the unique characteristics of this classic lens; or, as the Greek would say, ‘me thambose me teen omorfia tis’: to be blinded by beauty. 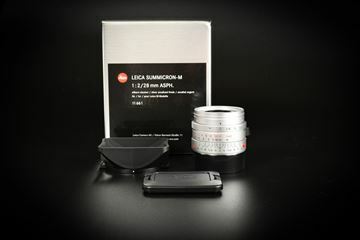 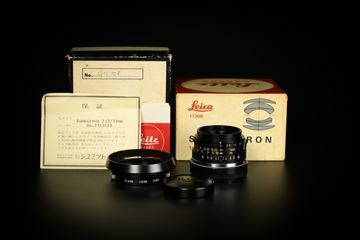 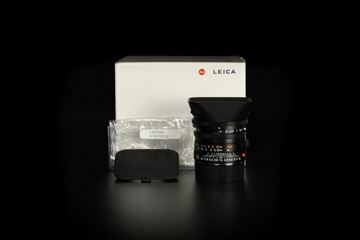 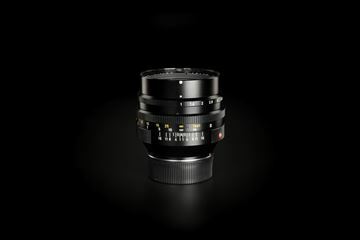 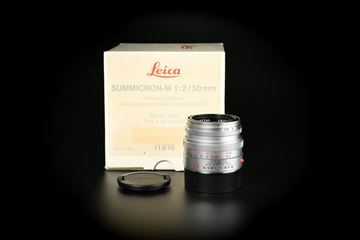 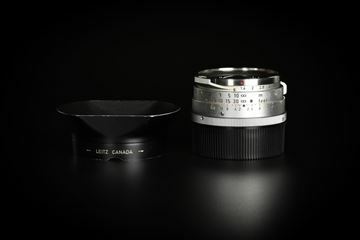 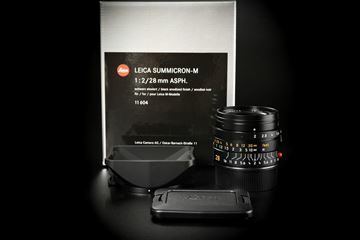 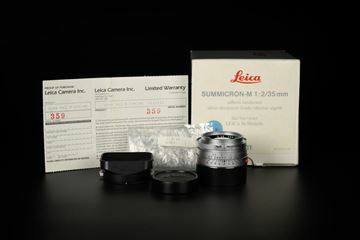 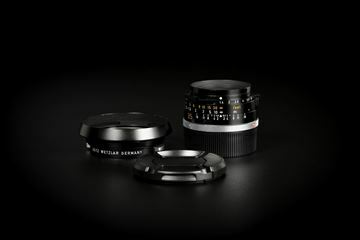 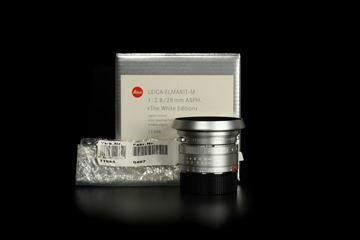 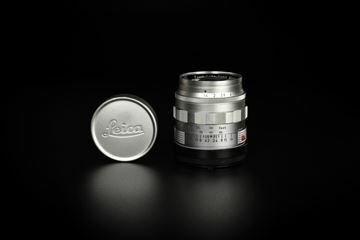 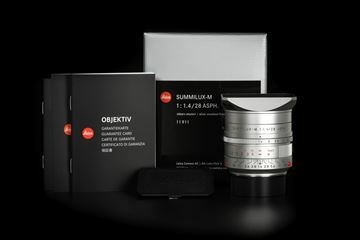 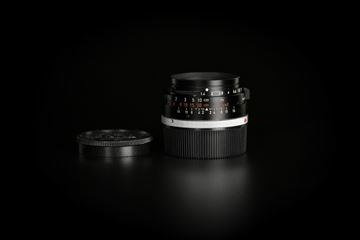 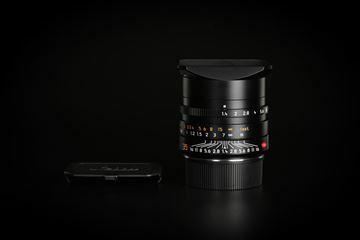 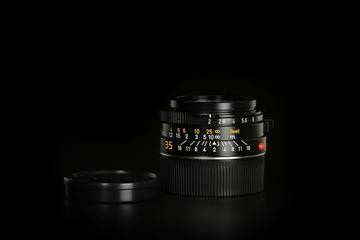 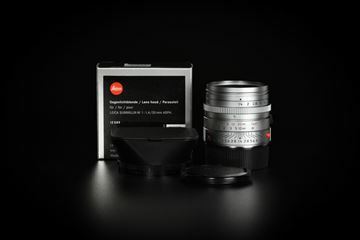 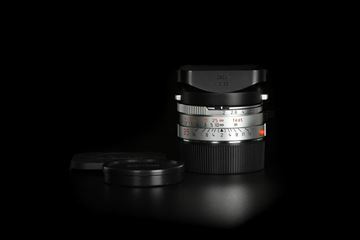 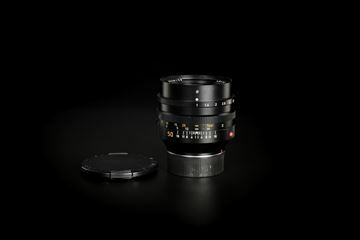 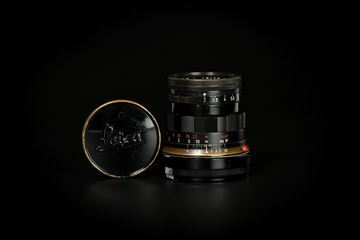 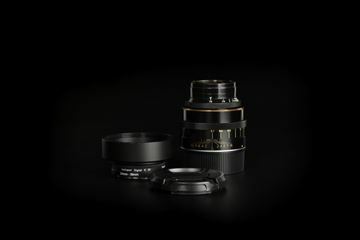 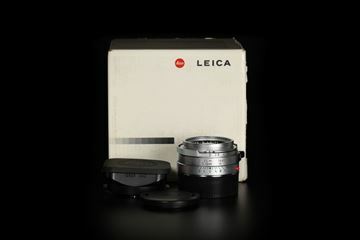 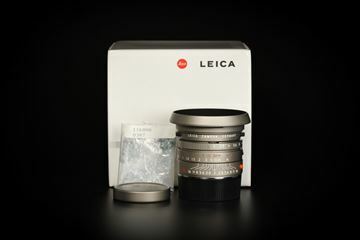 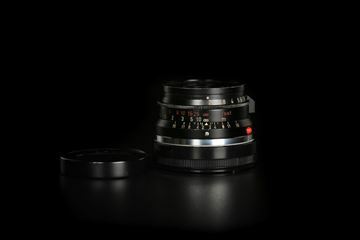 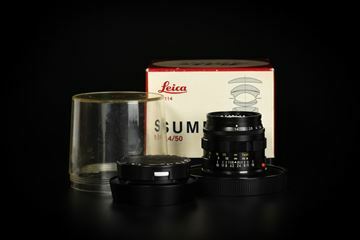 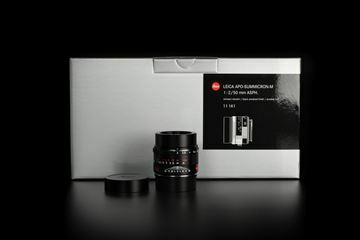 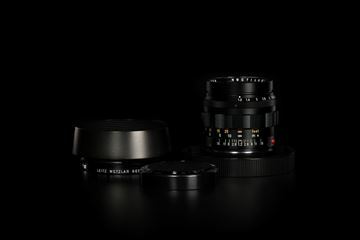 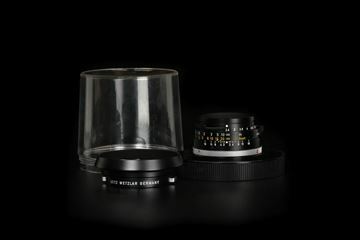 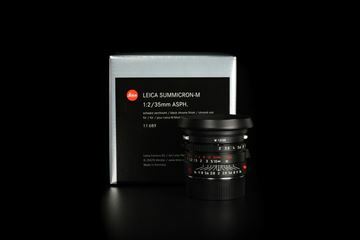 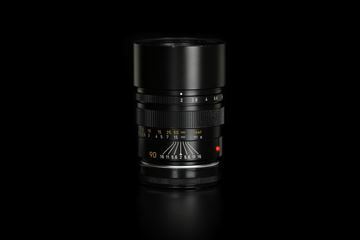 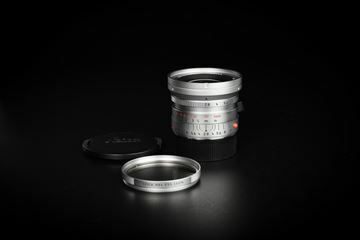 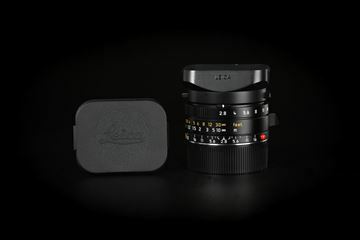 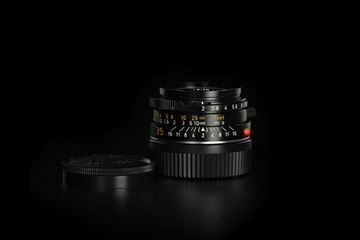 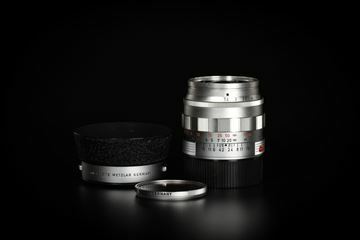 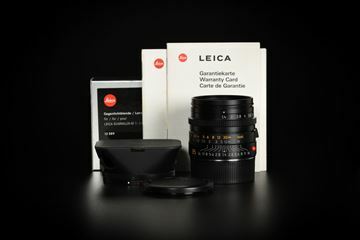 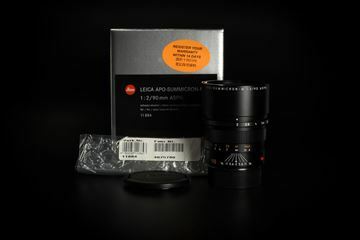 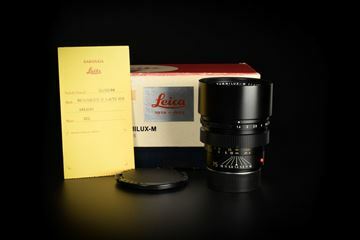 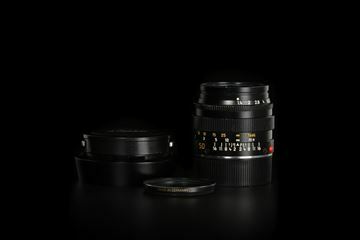 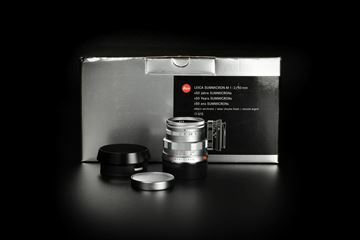 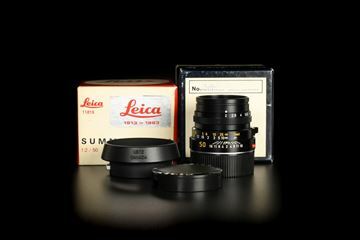 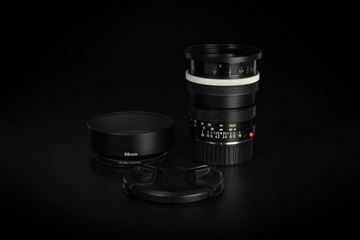 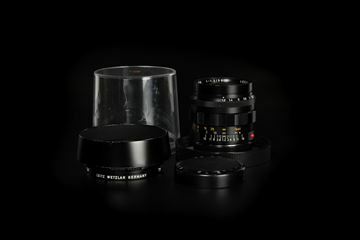 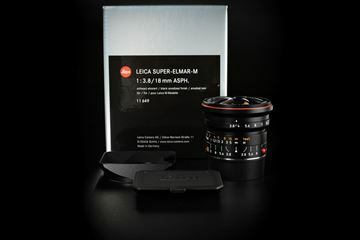 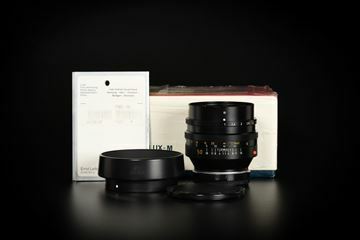 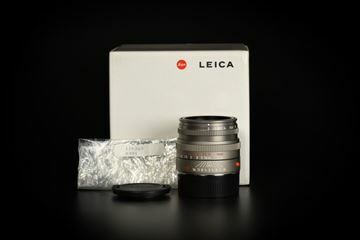 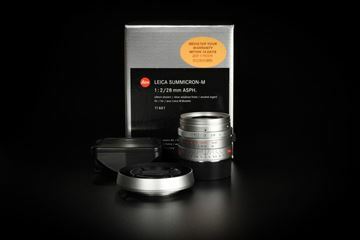 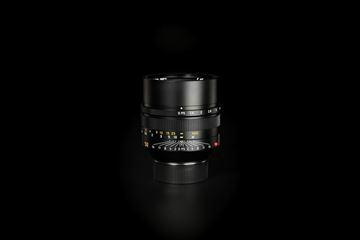 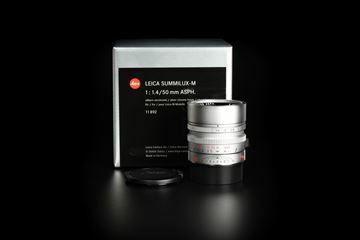 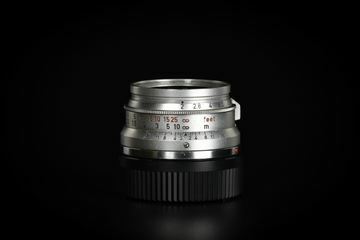 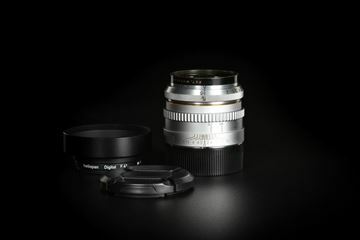 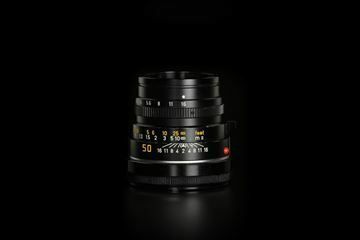 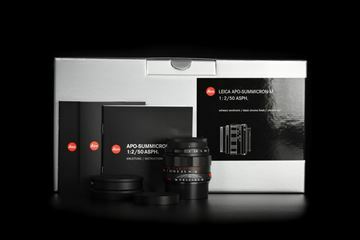 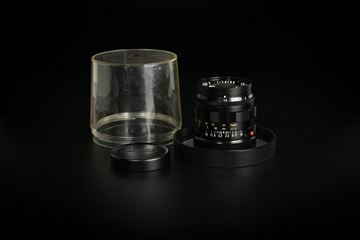 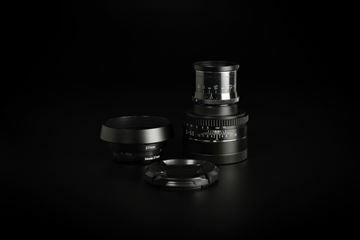 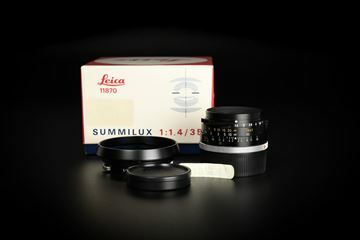 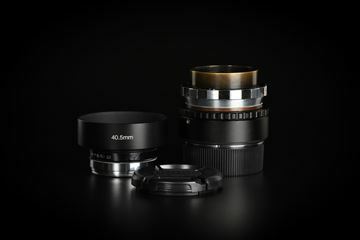 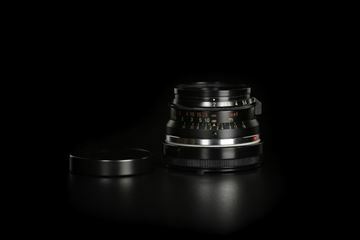 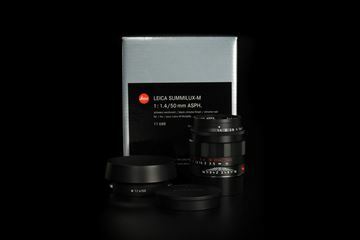 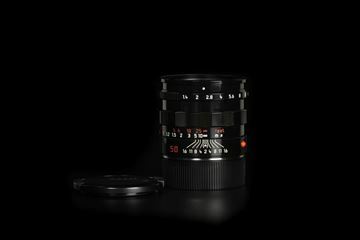 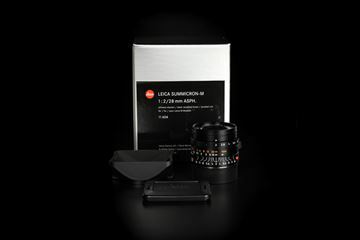 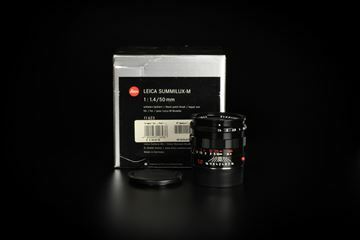 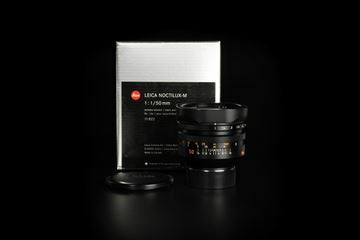 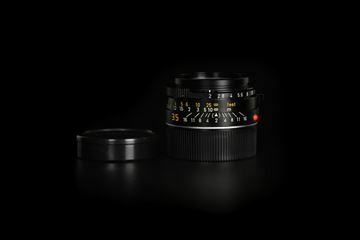 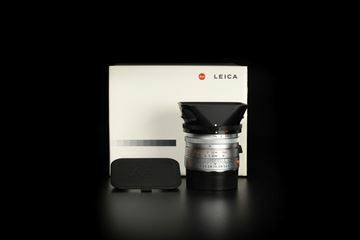 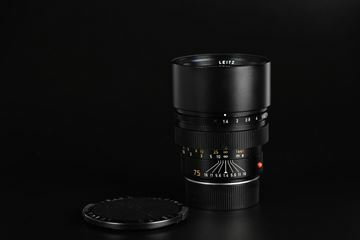 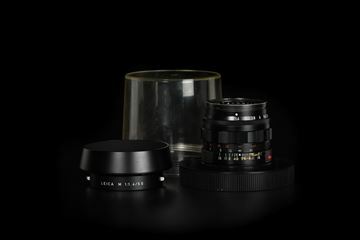 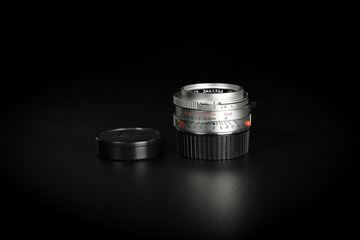 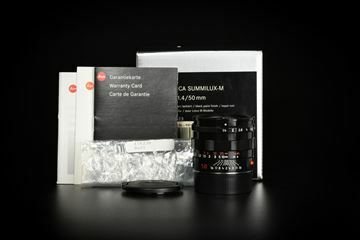 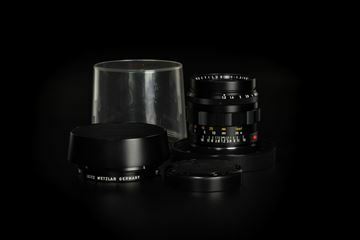 Leica Summicron-M 50mm f/2 Ver.4 Black "PRESS '84"
Leica Summicron-M 35mm f/2 Ver.4 Canada 7-element "PRESS '84"
Leica Summicron-M 90mm f/2 Ver.3 Pre-ASPH Black "PRESS '84"